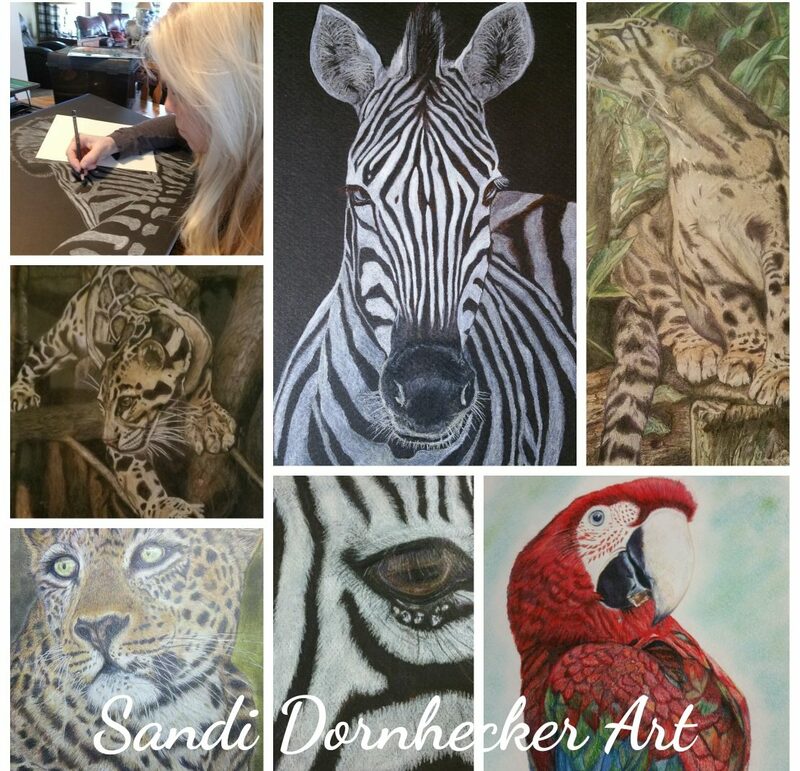 Welcome to Sandi Dornhecker Art, and thank you for visiting my website! Through my artwork, I am able to combine my passion to create with my love of animals. Hopefully, my art will instill a greater appreciation of the wonderful animals with which we share this planet. I hope, in my own way, to promote through my art a greater awareness of these amazing creatures and the important role people play in caring for animals, nature, and all life on earth. A lofty goal! I hope you enjoy perusing my artwork. My art is available in limited edition Giclee prints. You may also commission a portrait for yourself or as a special gift for a friend or family member, whether it is a portrait of a current, beloved pet, a cherished keepsake for a special pet that has crossed the Rainbow Bridge, or your favorite animal. All portraits are typically done with a plain white background. I hope you enjoy viewing the art and videos on my website and that one of them puts a smile on your face today!